Use the Cc field to copy people who need the information in a given message, but who don’t need to respond themselves. If you are writing to two people who both need to respond to your message, don’t use the Cc field; instead, put both email addresses in the To field. If you are sending an email to two people, one of whom appears in the To field and the other of whom appears in the Cc field, address only the person in the To field in your salutation. If the recipient in the To field doesn’t know the copied person, it is generally a good idea to explain who the person is and why you are copying him or her, as shown in Figure 16. 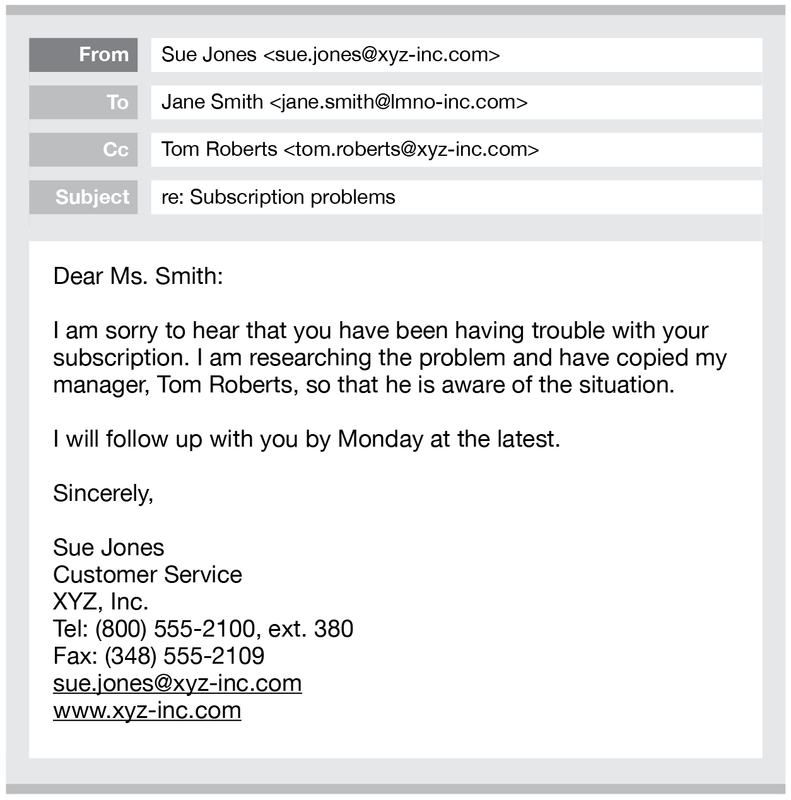 Don’t overuse the copying feature of email. See Chapter 8, “Reducing Email Volume,” for a discussion of copying as a contributor to excessive email volume.